Director Ron Howard teams with Steve Martin and an all-star cast to create an hilarious, touching and unforgettable portrait of life's most rewarding occupation: Parenthood. The Buckmans are a modern-day family facing the age-old dilemma of trying to raise children the "right" way. 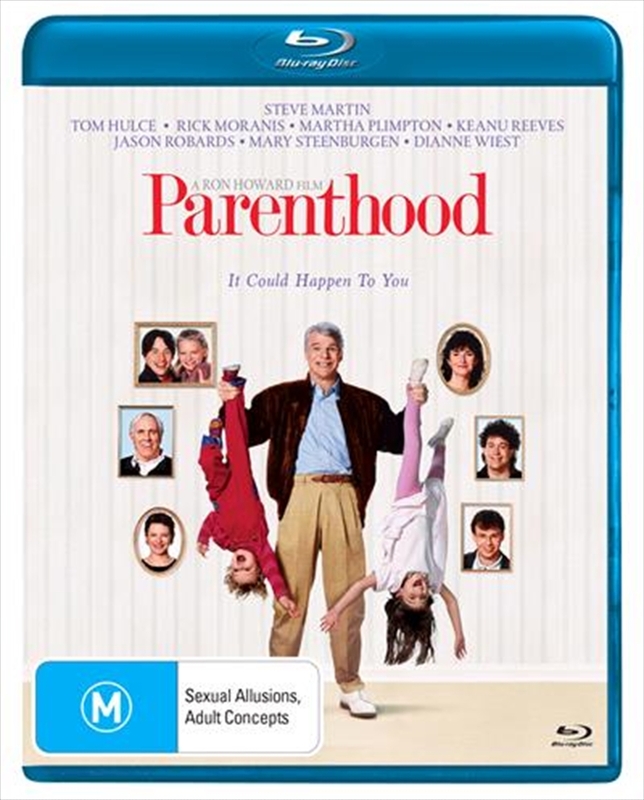 At the centre of the storm is Gil (Steve Martin), who manages to keep his unique sense of humour while attempting to maintain a successful career and be a loving husband and parent, all at the same time. As Gil and the rest of the Buckmans discover, being the "perfect" parent often means just letting children be themselves. Mary Steenburgen, Rick Moranis, Tom Hulce, Jason Robards and Dianne Wiest add vibrant performances to this heart-warming comedy that Gannett Newspapers calls a "funny, touching experience that will sweep you away."